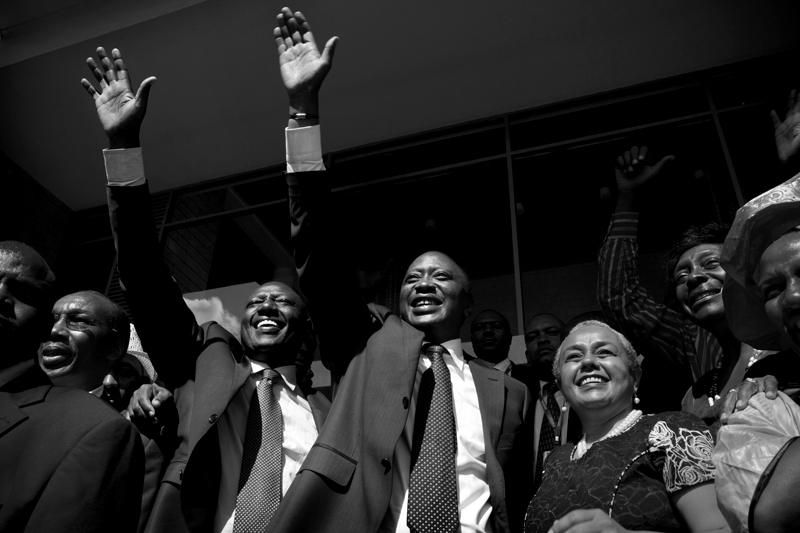 President elect Uhuru Kenyatta (right) with his running mate, Vice President Elect William Ruto (Left) celebrate the announcement that they had won the presidential race in Kenya. Kenyatta and Ruto wave to a crowd of TNA supporters at Jubilee Media center. The Independent Electoral and Boundaries Commission ( IEBC) chair Isaac Hassan declared Uhuru Kenyatta duly elected President of Kenya after he garnered 50.07 per cent of votes cast.